Ten colleges dubbed most haunted are part of the school lore of hauntings and supernatural with ghost stories handed down from student to student for more than a century. Some of these college hauntings are urban legends, like Bloody Mary, while others frighten students since college history substantiates the basis of the stories. The top 10 haunted colleges also have the most paranormal activity on US college campuses reported by students, staff, and visitors. 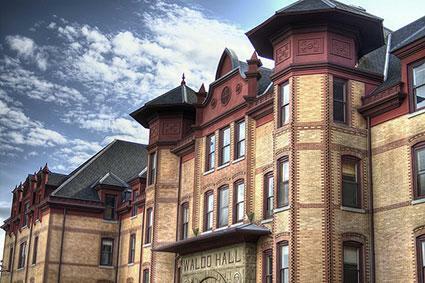 Founded in 1804, Ohio University is as well known for hauntings as it is for academics. 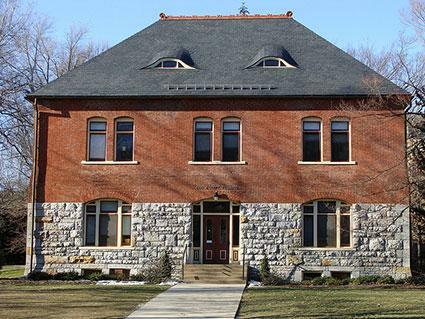 The Brown House, which currently houses the Contemporary History Institute, was deeded to Ohio by a woman with close personal ties to the school. According to campus lore, she remains in her home happily watching students from a window, then fading away after a few seconds. At Jefferson Hall, students and staff report that a woman dressed in 1950s clothing floats around the building, or sits at a desk, and disappears if approached or questioned. The sounds of marbles dropping and rolling along the ceiling have been heard in Washington Hall. The most frightening section of the campus is Wilson Hall, an area where part of the Athens Lunatic Asylum was located (known as The Ridges). Thousands of patients and administrators lived at the asylum from 1873 to 1993 and many unfortunate inmates were buried on the grounds. Although efforts are being made to restore the cemetery and identify gravesites, some restless souls still wander Wilson's hallways. You can request a map on campus as part of a self guided-tour, or download a mobile app for android or iPhone for a campus e-tour. Ohio University is located on Richland Avenue, just over the Hocking River in Athens, OH. As the campus expanded through the years, Marquette University acquired old buildings and along with the extra space came some active spirits. Until it was relocated in 1988, The Children's Hospital of Wisconsin was in what is now Humphrey Hall, although the autopsy and morgue rooms have been converted to less unsettling uses. Throughout the Hall, students report feeling watched in the building's elevator, and hearing the sounds of children playing and laughing. Building occupants have asked campus police on a number of occasions to search for figures seen on the security cameras, only to be told the police couldn't find anyone. Marquette University is at 1250 W. Wisconsin Avenue in Milwaukee. 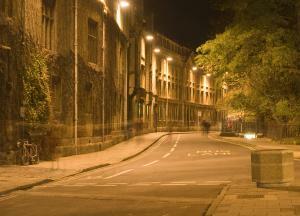 You can arrange a campus tour or take an online stroll past the haunted sites. Humphrey Hall is a residential building, so you will have to request permission for a visit. 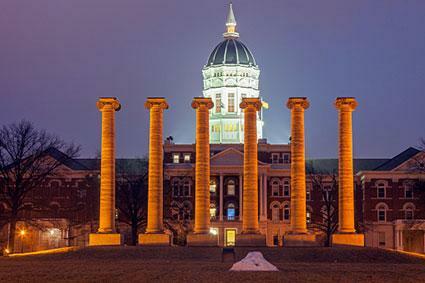 The University of Missouri has been hosting students since 1839, along with several ghosts who call the campus home. The Quad is the heart of the school, an outdoor area bordered by classroom buildings and iconic columns. There visitors can see The Residence, home to chancellors and university presidents and reportedly haunted by Alice, the first woman to live in the mansion. She is an active ghost who likes to turn lights on and off, move items around the house, and check on visiting children by taking the elevator to the guest rooms. She also makes non-working clocks chime the hour. The Conley House, an Italianate building once home to a local family, now holds administrative offices. According to local lore, the Conley House has a bad-tempered ghost, Aunt Sally, who glides down from the attic and appears to people she doesn't care for, scaring them out into the night. The University of Missouri is located on College Avenue, in Columbia, MO. Walking tour maps are available. A ghost tour is available by trolley throughout the year. Visitors to Penn State often learn about research, sports, and famous alums, but they also learn about ghosts on a campus that is spirited as well as smart. Old Coaly, a beloved mule, was a well-known mascot on the campus into the late 19th century, but even after his death, he continued to make the rounds as students reported hearing the thud of hooves in Penn State buildings. The legend said that anywhere Old Coaly's bones were, they would hear the mule. Eventually Old Coaly went to rest permanently, and today there is only silence in the hallways. Besides Old Coaly, the Old Botany building is believed to be home to Mrs. Atherton, a ghost who keeps watch from an upper window, making certain her husband's grave remains undisturbed by campus pranksters. Visitors can read the visitor's guide before they go; the campus is located at University Park in State College, PA.
Connecticut College, founded in 1911, is located near an old turnpike used by European settlers in the 17th century and the layers of history that surround the college include a few spirits. Knowlton Hall has a poltergeist who delights in slamming doors, frightening even the security personnel. One man described hearing ghostly music in empty dorms, and feeling watched by something, or someone, just beyond his vision. 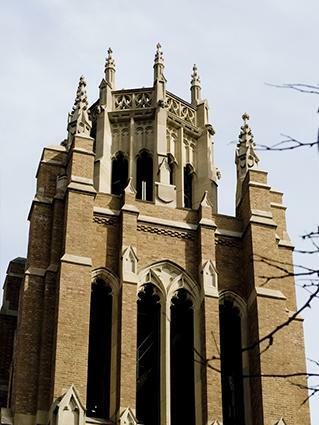 Ghostly figures abound at the chapel, but no one can get close enough to engage them in conversation, and people working at the campus theatre have heard piano music, followed by nearby footsteps. The most frightening encounter involved campus safety officers. They were called out to search an area near the campus arboretum's pond after reports were made of a woman calling for help. The officers later said that they split up and moved around the pond, but so did the voice which changed position more quickly than was possible, finally telling the men to leave and then fading away. Nothing was ever found to explain the disturbance. You can take a walking tour of the campus by map or street view. It is located at 270 Mohegan Avenue, New London, Connecticut. Another Missouri college, Central Methodist University, reports a plethora of spirited activity. Among the spookiest ghosts to be encountered here is that of an orchestra conductor. The college has roots going back to 1857, but the haunting dates only to the mid-20th century, when an audience gathered for a school concert. The conductor was leading a section called The Catacombs from Pictures at an Exhibition when he fell and died from a heart attack in front of the horrified onlookers, many of whom still share the story. Not long after the conductor's death, students reported meeting a man dressed in evening clothes waiting outside a university building. He would take a puff on his cigarette and say, "Nice night for a concert," before disappearing in front of the witness's eyes. The ghost was easily identified as the deceased conductor from his portrait in the music department. Central Methodist has a walkable campus, and is located at 411 Central Methodist Square in Fayette, Missouri. If you want to be inspired or frightened, it might be worthwhile for you to take a room in Shelton Hall at Boston University, one of the most famous dorms on a US college campus. Today the dorm houses BU students, but in the past it was part of the Shelton Hotel. Built in 1923, the hotel was home to the last years of playwright Eugene O'Neill and his wife, Carlotta, who were permanent residents of the Shelton. O'Neill passed away there in 1953, and his ghost is said to return at times and check on the living, knocking on doors in the dorm only to disappear before anyone can talk with him about life and death. 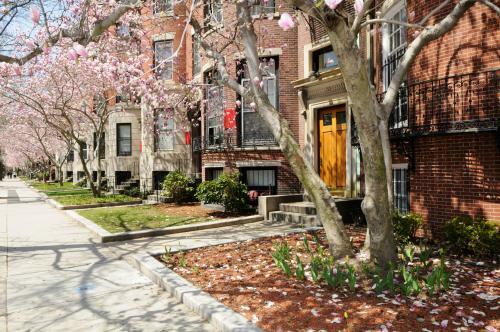 The dorm is closed to visitors, but can be viewed from 91 Bay State Road in Boston. Among the most benevolent ghosts to be found on any campus is that of "Mother" Ida Kidder, librarian, confidant, and personality of Oregon State University. Ida Kidder oversaw the development of the school's library from 1908 until her death in 1920, and she was a beloved figure at the school and across the state. She tooled around the college in her electric cart dubbed the "wickermobile," and when she died her casket was placed in the library for people to pay their respects. Today, Mrs. Kidder continues to watch over the campus from an upper floor window in Waldo Hall, and bustle around buildings where she still oversees her life's work. Other ghosts also make Oregon State their home, including a woman who appears and then fades away in Sackett Hall, and a girl who was killed in her room in the 50s who sets fires and throws objects. Take a campus tour or stop in at the Administration Building for more information. Built as a summer home for a wealthy family, Drew University maintains much of its original architecture, and according to some, a few of the original inhabitants. For years, students and staff have reported hearing doors slam, seeing lights appear in windows and searching for disappearing objects, only to have them turn up in odd places. Mead Hall was the site of a terrifying encounter between security officers and a hazy entity. The men were doing their rounds in the basement, when a shadowy figure stepped out from a corner, "noticed" the men and then moved back into the dark hall. The startled (and intrepid) guards searched everywhere, but found nothing. Other people have heard music, watched shadows move, and felt cold blasts of air on otherwise warm nights. Whoever and whatever haunts Drew University is apparently unconcerned about being seen, while it is the witnesses who suffer the consequences. You can take a walking tour of Drew University, located at 36 Madison Avenue, Madison, New Jersey. 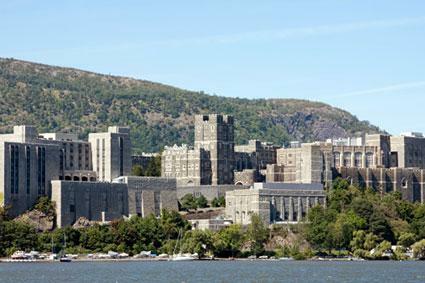 Founded in 1802, West Point Military Academy has graduated outstanding military and government leaders through the centuries. For cadets, as the students are known, days are tightly scheduled and filled with training, studying and service. But Room 4714, a former dorm area, provided cadets with additional experiences over the years. Beginning in the 1970s, cadets reported seeing a figure dressed in the traditional uniform of the 19th century. The ghost was sitting as if on a bench, holding a gun, and did not acknowledge the cadets as it faded away. Continued appearances led the Academy to invite paranormal experts Ed and Lorraine Warren to investigate the visitations although little information was shared with the public. Whatever the cadets saw has never been explained and the US Army won't talk about it. Room 4714 is no longer used for sleeping, however. You can visit West Point, but you must make arrangements ahead of time. Due to security issues, you are not allowed to visit buildings outside of the tour. If you want to enjoy a good scare along with a fascinating story, don't forget to ask about ghosts the next time you take a college tour or attend a campus event. University campuses are lively places to visit by day, but you will need to wait until the shadows fall before you get a true sense of the real college spirits.